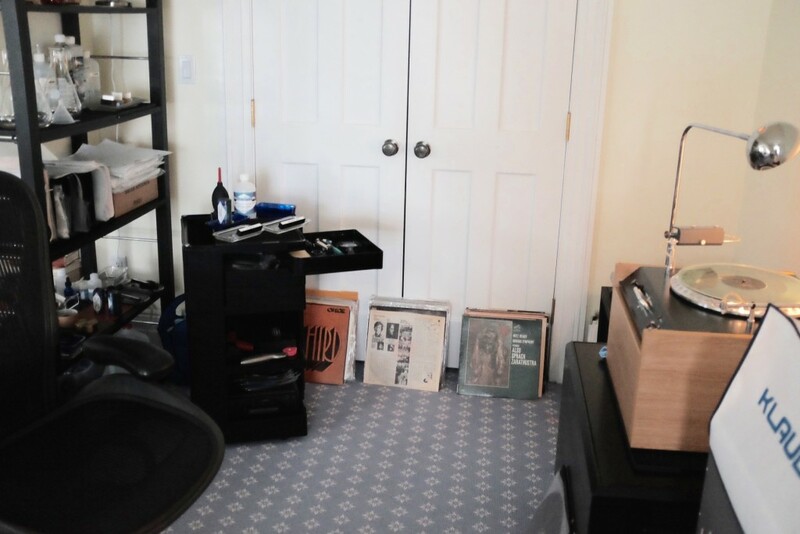 Veteran LP collectors might regard what follows as overkill, or even contrary to their practice or experience. 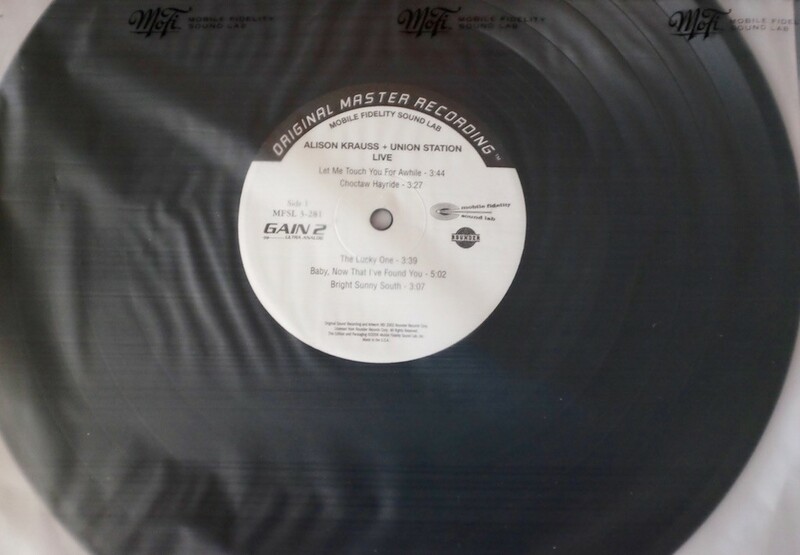 So I offer this photo-essay of various ways to handle, package and manage LPs after they have been properly cleaned, along with some cautionary notes and guidelines, recognizing that there are many ways to approach the subject and a few “absolutes,” mainly having to do with the fact that some plastics used for outer jacket and inner sleeves, particularly PVC, are known to interact with vinyl records, and should be avoided. You can pick and choose your own method or combination of methods for re-sleeving records, bagging jackets and protectively packaging the associated paper products, subject only to a few precautions on materials. (If you aren’t interested in my digressions on re-sleeving and packaging, you can just jump to the end for these cautionary notes and a few guidelines). 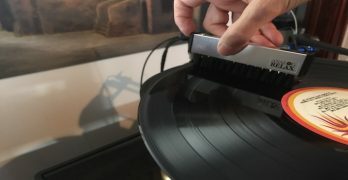 First is re-sleeving the record in a high quality inner sleeve. This is important for several reasons: the now-clean record should not be returned to an inner sleeve that may have years of accumulated dust, debris or worse. But, don’t throw the original inner away. If it is indeed an original or even a period inner that may be incorrect for the particular record, it is worth saving for artifact value and enhances resale value. More about what to do with the inner sleeve that came with the record in a minute. I typically re-sleeve most new records for the same reason, because even brand new records aren’t always clean- that surface lint and other debris that you find on many new records? Well, it’s not just on the record, but littering the inside of the inner sleeve in which it was sold. 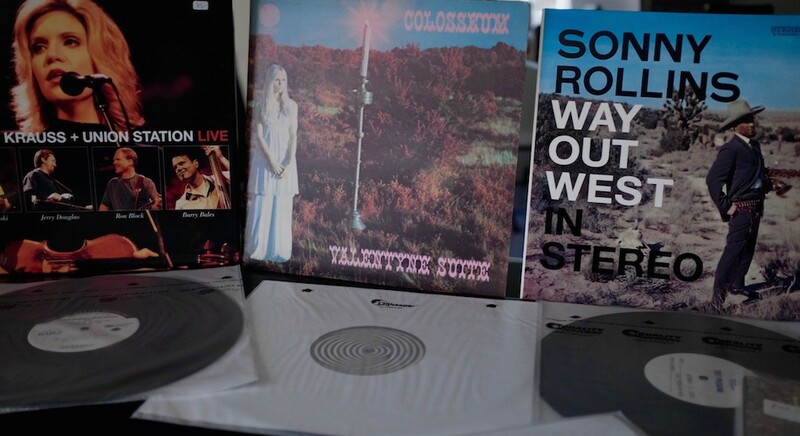 Which new inner sleeve? There are any number on the market, from relatively inexpensive paper sleeves that can be bought in bulk, to various grades of poly or “rice-paper” -type sleeves to “audiophile” grade/branded products. Myles Astor has done some pretty good surveys on inner sleeves over the years. Rather than repeat what he’s done, here’s a link to one of Dr. Astor’s most recent articles on the subject from Positive Feedback Online, which also contains some basic explanations of the chemistry. My experience with respect to the current crop of inner sleeves isn’t much different in practice, having tried pretty much all of the ones mentioned. 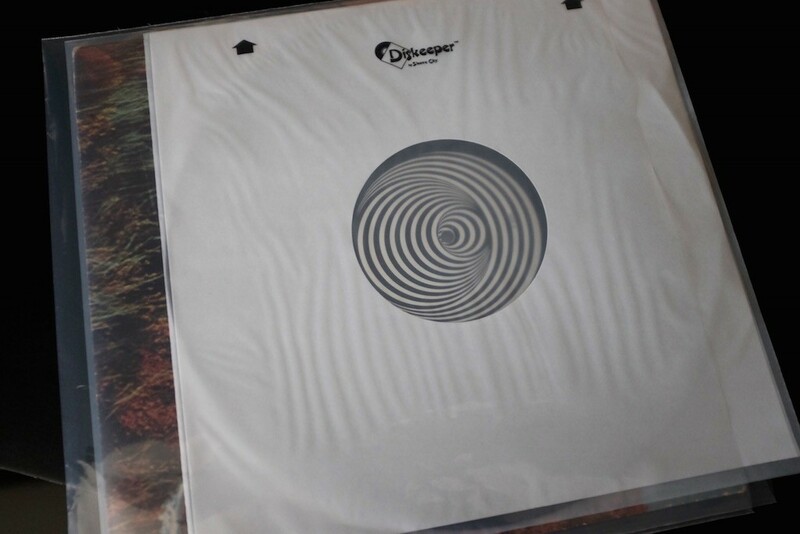 I currently prefer the Diskeeper™ Ultimate Audiophile Inner Sleeve offered by Sleeve City for several reasons: it is sturdier, has a protected cut-out window on both sides to see the label and I like the “feel” of it; it doesn’t bunch up and is easy to handle when inserting and removing the record. 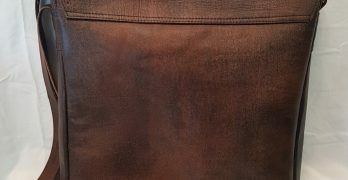 However, it is a fairly “thick” inner sleeve, owing to its double lining on both sides and therefore may not easily slide back into some tight jackets. But, because in many cases, I don’t re-jacket my records (see below), the extra thickness is no trouble and actually gives the record a little more protection. 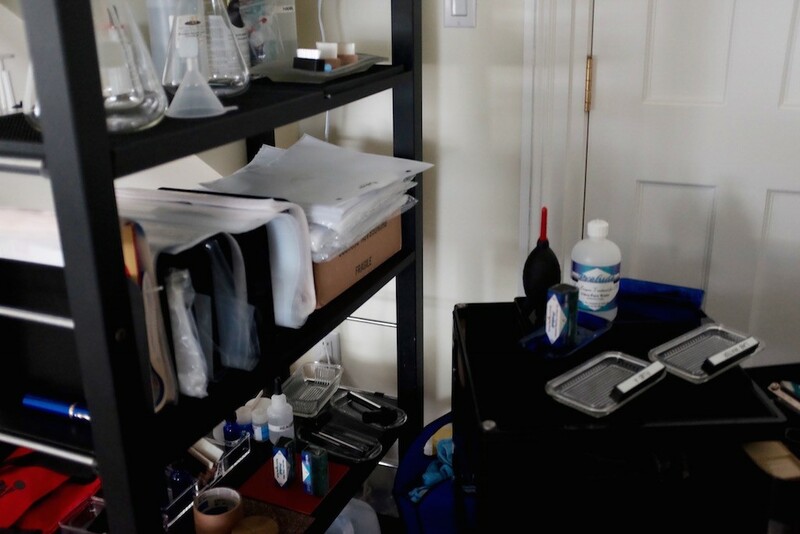 All of my supplies are organized adjacent to my cleaning equipment, from new inner sleeves, the various outer jacket sleeves to assorted sleeves and bags for associated material, as shown here. The various jackets and inners are slotted by type, thickness and material, so I can grab what I need easily. For the outer jacket (and this works for most albums, including gatefold covers and most double albums, but not boxed sets), I have been using a variety of outer jacket “bags” including a 6 mil polyethylene outer jacket bag that I buy from Bags Unlimited, as well as polypropylene jacket sleeves which are a bit thinner, but have greater stiffness and clarity. I’m sure there are other options and suppliers- but both Bags Unlimited and Sleeve City cater to record collectors. 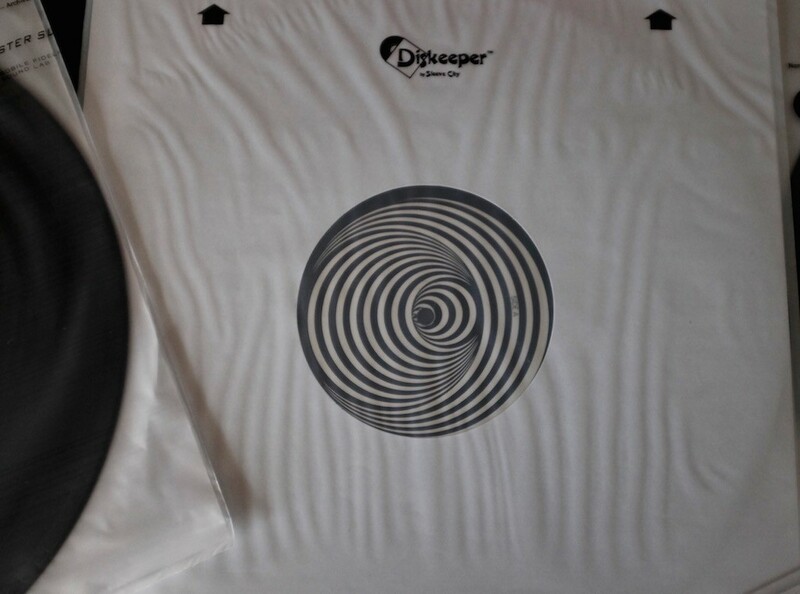 The jacket slides into the outer, sans record and original inner sleeve. I don’t have to remove it from its new protective sleeve unless I want to study the inside of a gatefold cover. Otherwise, the now freshly (outer) sleeved jacket is protected and doesn’t need to be disturbed. Before sleeving the outer jacket, I will wipe off the jacket with a dry, clean microfiber cloth, but rarely get involved in any sort of heavy duty cleaning of original jackets. I’m also reluctant to start removing old stickers- yes, there are various methods, but in my experience, you run the risk of damaging the jacket by taking aggressive steps on outer jacket cleaning or sticker removal, so I leave well enough alone. A little original patina to the jacket is OK with me; I’m more concerned with the condition of the record itself. Plus, the old price stickers are themselves a relic. Next I slide the freshly sleeved outer jacket into a larger bag: this one is a 13 x 13″ outer jacket sleeve. You need something a little bigger than the jacket to accommodate the various “extras” that may be packed separately, along with the record jacket and freshly sleeved record. Finally, if I am preserving the original inner sleeve, it gets its own jacket; after trying various products I’ve found a favorite, sold by Acoustic Sounds: a 2.5 mil outer sleeve (no flap) that is crystal clear (polypro) and very “stiff” (many of these thinner sleeves are floppy, or can hold a static charge and are harder to work with). 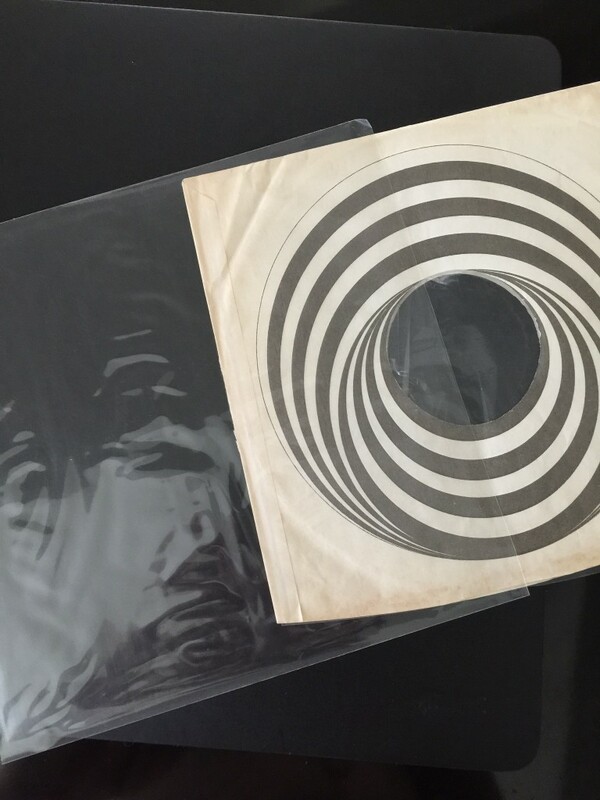 I’ll slide the original inner sleeve in one of these; if the record came with a poster, postcards, or other paper memorabilia, those can go in yet another one of these thin sleeves. I also use these thin jackets for “hype” stickers, lyric sheets and the like. 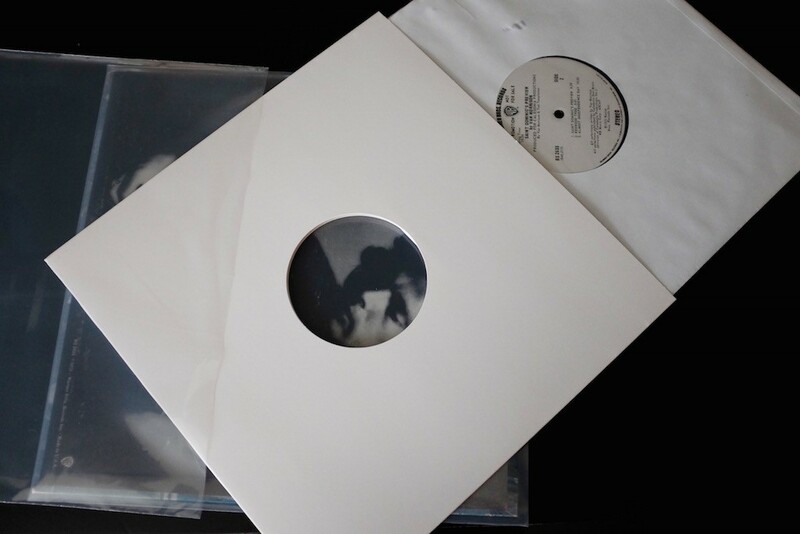 They act as additional “padding” or separators in the package of jacket, freshly sleeved record and outer bag described further below. Some collectors like to keep the original shrink-wrap with hype stickers on the jacket; I suppose that is ok if you are not storing the record in the still “shrinked” jacket; otherwise, the shrink has the potential to stress the record if it is too tight, even after slitting it open. This is another reason why I am a little wary of old “sealed” records if they are shrink wrapped tightly. It is also a good reason to store the record outside of the jacket if you are going to leave the shrink wrap intact. or simply use the plain jacket as an extra layer of protection on the backside of the package. Now, I can easily remove the record without having to unbag and/or slide it out of the original cardboard jacket; this puts less stress on the original jacket, and preserves it better. If you choose not to rejacket the record at all, and use the extra, plain cardboard jacket as an outer layer of “padding” in a sandwich of layers, you also enjoy additional benefits: fewer potential scuffs to the record from sliding the (sleeved, of course) record in and out of a cardboard jacket, less likelihood of dog-earring the new inner liner and less friction (and static) created in the removal and re-sleeving of the record after play. 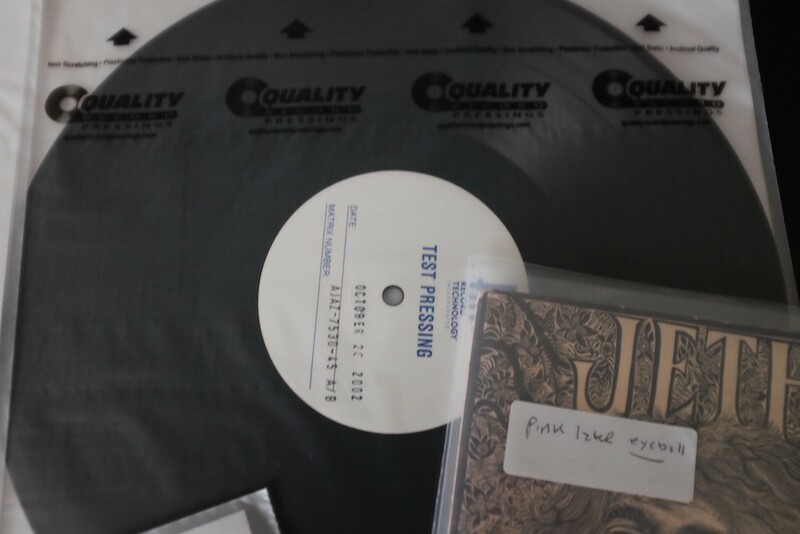 (This is typically how records should be shipped when sold individually- packing the record separate from the jacket–to prevent jacket seam splits and record scuffing). Overkill? Maybe. It takes up a little more room on the shelf, but I prefer not to pack my records too tightly on the shelves anyway—they should be vertical and under mild pressure, but not jammed so tightly against each other than you can’t easily pull out one record. A Tag on the Bag: I use an adhesive tag to note important information about the record that helps me identify it quickly among multiple pressings of the same record: country of origin, relevant matrix or lacquer numbers, condition and in some cases, source of purchase. 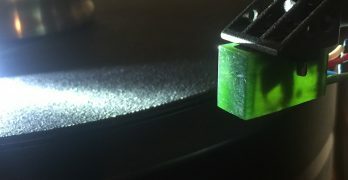 This helps me quickly identify which pressing I’ll pull without having to remove the record, scrutinize the cover or check the deadwax. (I adhere the sticker to the outside of the 6 mil bag on the jacket). Any PVC outer jacket sleeves or inners should be taken out of circulation. They should not even be included in the multi-bag package described above, because the plasticizer in these PVC sleeves can leach, migrate though other layers of material and damage the record, visually and sonically. 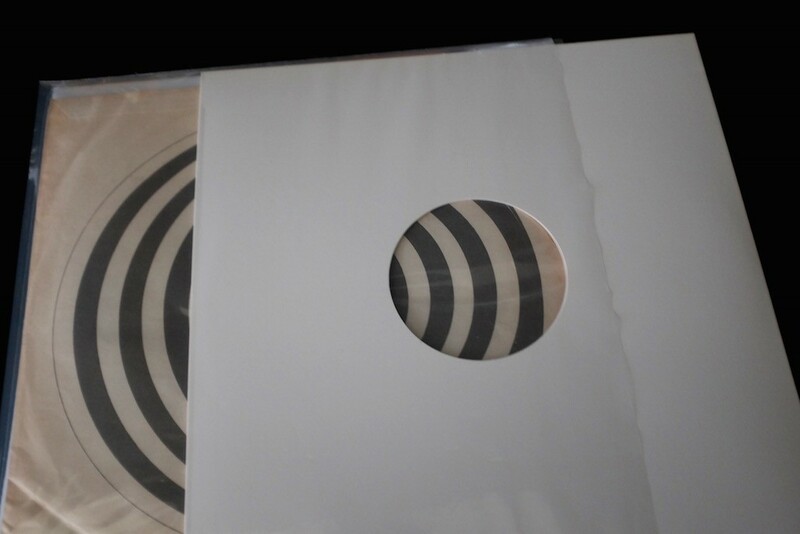 The record suffers from a milky haze or other visual splotchiness when this happens. Heat and close packing may exacerbate the process. PVC outer jackets seem to have been more common in the UK and Europe than in the States and are pretty easy to identify: they are heavy, stiff and have a quality similar to those thick rubbery clear pockets used in libraries; they will, over time, give off a distinct “plasticy” odor, like a deflated air mattress. Get rid of them! Polyethylene, polypropylene, or polyester (polyethylene terephthalate or PET) plastic zip bags, sleeves, or bins without any additional slip or coating agents are considered stable and inert plastics. The original rigid plastic jewel cases offer good protection for optical discs and do not need to be replaced with a different storage system. Avoid polyvinyl chloride (PVC) and other unknown plastics. 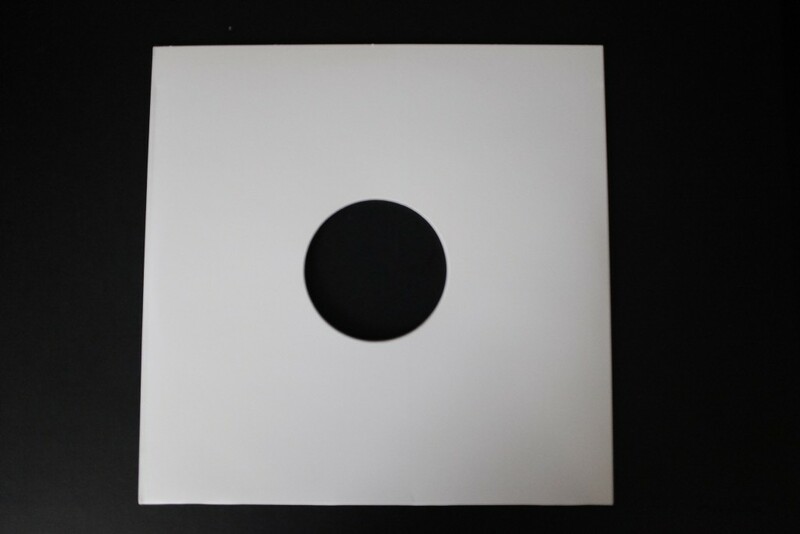 Although audiophiles are now critical of using low density polyethylene (LDPE) for inner sleeves (that come in contact with the record surface) and favor high-density polyethylene (HDPE) or other products, I have found no problems using the LDPE for outer jacket sleeves or bags. 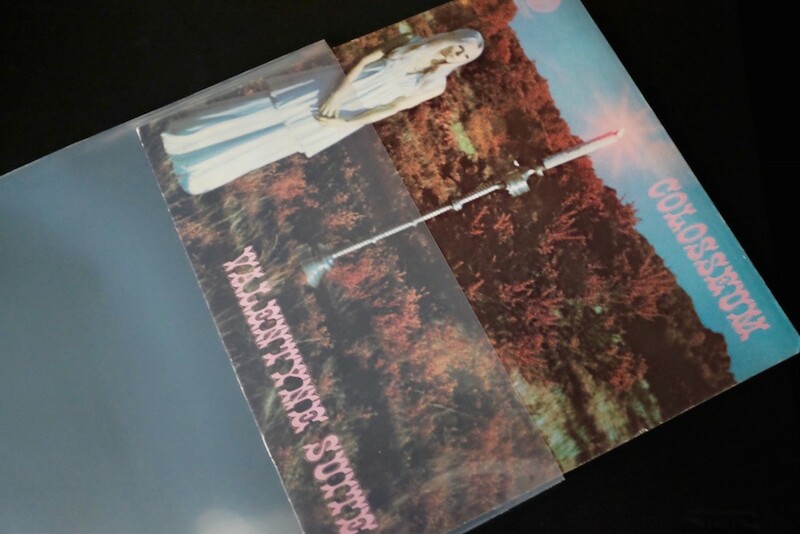 Apparently, the top grade outer sleeve is similar to the old Mylar, but made thicker than those that came with Japanese pressings, which I find to be somewhat fragile. These are often referred to as “polyester” outer sleeves and can get pricey. A good compromise may be polypro, which has the clarity of polyester/Mylar but is available in various thicknesses at considerably lower cost. PVC inner sleeves are harder to identify, but if you are unable to determine what the sleeve is composed of, set it aside. You are going to re-sleeve the record anyway. 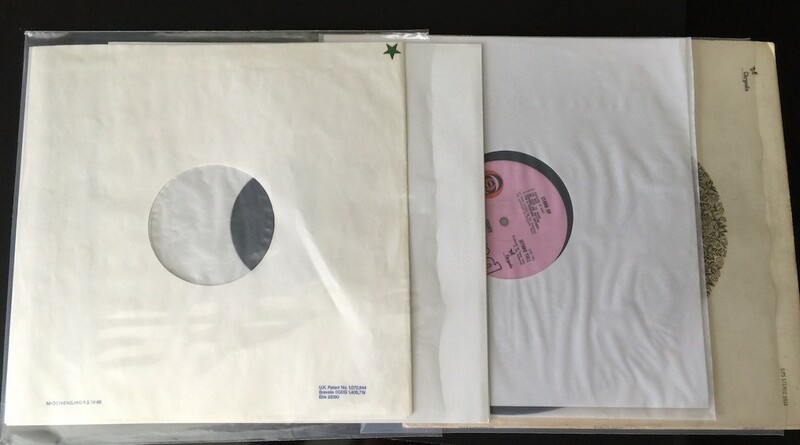 In my experience, many of the older inner sleeves I’ve seen from the UK in the late ‘60s seemed to be made of a soft flimsy plastic liner in a paper outer sleeve (the liners are similar to the material used as dry cleaning bags in the U.S.). In the States, paper liners, often with advertising of other label offerings, seemed to be far more common in the ‘60s and early ‘70s, at least from the major labels. 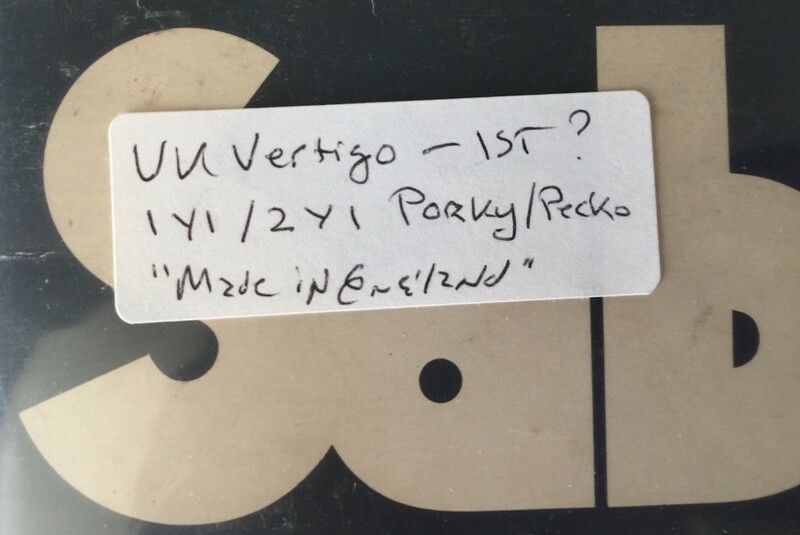 Apart from PVC, there have been warnings about the soft poly-lined inners supplied with records like the original UK Vertigo Swirls, which I have been collecting, as well as the liners that came with older Polydors and others from the UK. I don’t mean to be alarmist, but you should at least be aware of the potential problems associated with various plastics, plasticizers and their impact on vinyl records. 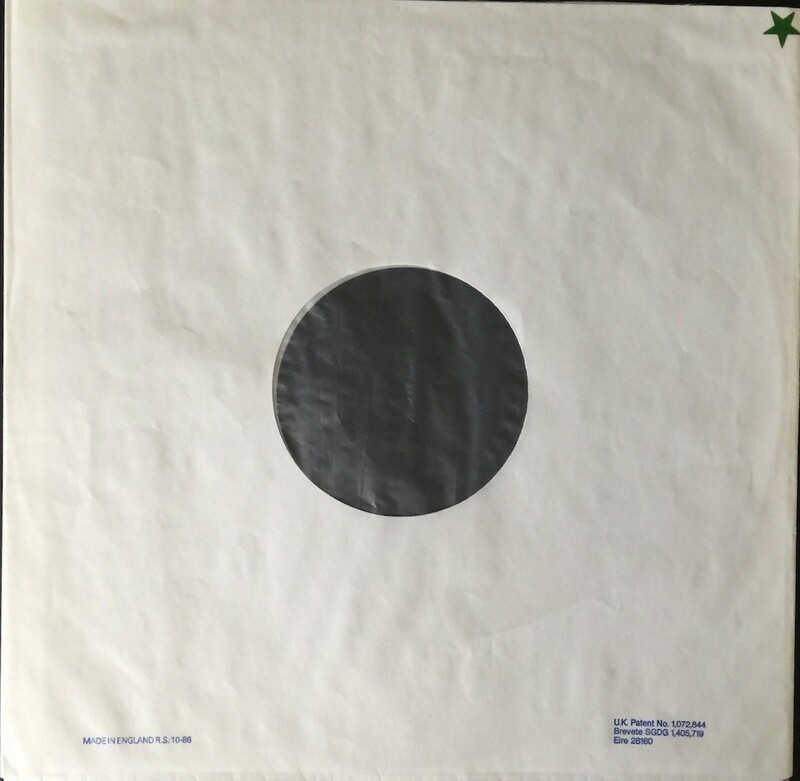 These issues have caused some collectors to go back to paper inner sleeves, to avoid any question about the provenance of the inner sleeves and in some cases, to dispense with any sort of outer sleeve to protect the jacket. Judging by responses on various Internet boards, some treat the issue as having less to do with the plastics and more to do with heat and storage methods. I suspect it is both: plastics chemistry, plus heat. I don’t like paper inners because they have a tendency to scuff the record when removing and re-sleeving. And they often shed and leave debris on the record. For what it is worth, I checked with Sleeve City and was told the inner sleeves–like the “Ultimate” I currently use–should not pose any problems. I also spoke with Bags Unlimited about their poly outer bags and was told that the materials are independently tested to verify that there is no chemical reaction with old photographic images, another field where chemical interactions are not only common, but potentially disastrous. Other reputable sources, like Acoustic Sounds and MoFi (Mobile Fidelity) should be fine too. There are archival supply houses that sell materials for hobbyists in many fields who can be relied on, but if in doubt, check with your supplier. I don’t think the expense (in terms of money) in buying from a reputable, knowledgeable supplier is any greater than buying or using what the Library referred to above as “unknown plastics.” The true “cost” of the unknown is damage to record, which is far more costly in the long run than a few extra bucks on the proper materials from a reliable source. “For vinyl discs, we use inner sleeves of high-density polyethylene (HPDE). Being fairly smooth, this type of sleeve tends not to scratch the soft vinyl. However, certain types of “poly” sleeves should be avoided as they can actually leave a difficult to remove residue on a disc’s surface. Obviously, it’s best if the manufacturer specifies the material. But, as a rule of thumb, if a poly sleeve is frosted in appearance AND slippery to the touch, it’s okay. If it’s clear in appearance and sticky or tacky to the touch, it’s not. See, Cleaning and Archival Standards of Care. Do I do this for every record I own? Hardly. I’ve been working my way through thousands of records, some new acquisitions (typically of old pressings) and many that I’ve owned for years, if not decades. Some of these records (and associated paper materials) are valuable and I’d like to preserve them as best I can. At the same time, I’ll admit that for many of the records that have been in my “collection” for years, they have held up pretty well without taking all these precautions, but a lot of them haven’t been touched for ten, twenty or thirty years. So, the records themselves haven’t been cleaned (or were last cleaned in the ’80s), and the jackets and records haven’t been “handled” for many years (but have been maintained in light and climate-controlled environments). Many have been brought into regular use and handling, which is why I started to learn about preserving them. In the process of “rediscovering” these records, I have found that some of the old “audiophile” inner liners looked a little tatty (though I don’t throw those away either, there’s a box or two full of vintage audiophile liners that have accumulated as I go through my records to identify, clean and organize them). And, I keep discovering copies (often duplicates) of things: vintage RCA “shaded dogs” in their original sleeves, old “audiophile” pressings (many still sealed) and run of the mill commercial pressings (some of which sound great!). So, part of this process is “triage,” in the sense that I’ll pull a few hundred records at a time from a storage shelf and work through them, sorting, identifying and organizing. Some go into the stacks for cleaning and re-sleeving; others get re-shelved in a “holding area” which means that the record is a keeper, but not of immediate interest. And, I’ve given away several thousand records in the last few years- to people just starting to get into vinyl, who appreciate the gesture and help me make more room for the records I want to keep. Any records with mold or mildew should be separated from your “good” records pronto. That’s living stuff growing there- and it will spread. Water damaged records are a likely candidate for this stuff, which is pretty easy to spot by what the water does to the outer jacket. But, if in doubt, immediately quarantine any records that exhibit spores, mold, or smell like a damp basement. The measures necessary to bring these back go beyond conventional “cleaning”; we are in emergency mode and salvage territory here, which is beyond the scope of this article. A closing note on the subject, for now. 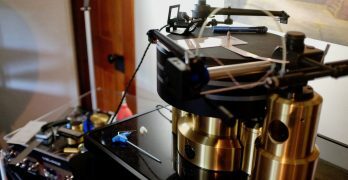 I’m not a chemist, and I never even set out to become a record collector; I accumulated recorded “music” for listening beginning in the late ’60s – and that happened to be on vinyl LPs; I “soldiered on” through the early CD era as I continued to buy records and eventually amassed quite a few. Along the way, I have improved my collection, winnowed out bad pressings for better ones and learned about record care. I’m continually seeking to improve my “collection” (I tend to think of it as an “aggregation” since there is no real rhyme or reason to what I have bought over the years), as well as to increase my knowledge about the field. Comments, criticisms or additional insights on the subject of this article are welcomed. An article on vinyl LPs and static is in the works, along with what I hope will be the beginning of a series on the making of records, from both the creative and technical perspectives. I have accumulated a collection of period-correct inner liners for various record labels; these can be substituted where the correct inner sleeve is missing. Ironically, I think many audiophiles threw away a lot of the original liners in favor of aftermarket ones. Amazon also sells these with free shipping if you are a Prime member. I also opt for outer jackets without flaps. If you source an outer jacket sleeve with a flap, just make sure it does not have a gummy adhesive on the flap, since that can stick to the jacket as you are removing it and risks tearing the outer jacket surface. There are many different approaches to more intensive cleaning of the outer jackets that you can find on the Net. See the cautionary note at the end of this piece about mold and mildew, though. There is a good thread on the Hoffman board that identifies some particular examples. Library of Congress Preservation FAQ. Note also the precautions against excessive heat and humidity. 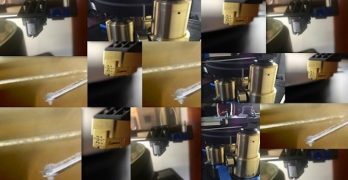 Editor’s Note: Turntable Set Up Issues and a Forum? Airtight Supreme v Monster Alpha Genesis 1000 (WuT?) Or the Path to Older Phono Cartridges….